The hotel is ideally located near Old Trafford, Media City UK and Lowry Theatre & Shopping Outlet and is in close proximity to central Manchester by car or public transport. The nearest train station is Piccadilly station which is 5km away . Salford Quays is a vibrant waterfront development on the outskirts of Manchester. With easy access in and out of the city and plentiful entertainment on our doorstep, ibis Budget Manchester Salford Quays is a great balance of location and affordability. 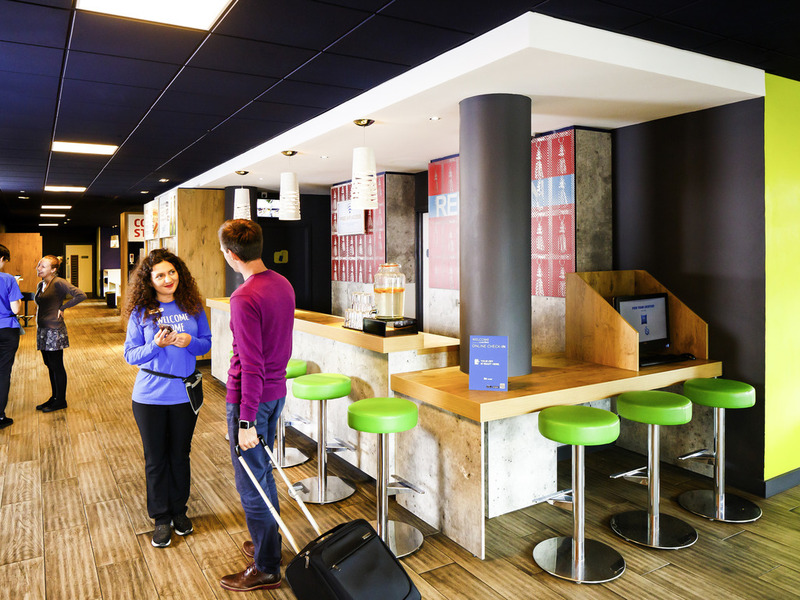 We're on a mission to shift affordable accommodation up a few gears, with free fibre Wi-Fi, 'Grab and go' 24hr refreshments, attentive staff and modern, fresh décor throughout. Good but I would have appreciated a private place to dress after I showered. Room smelt of damp from the toilet. Unacceptable not to provide a kettle free of charge. Decent location for matches at old trafford, I am sure that you get that all the time . You get what you pay for I paid 170 euro for room 124 Bed was fresh shower was decent Wc was too small . Hotel was very basic but price did not reflect this. Added amount for parking. Room was too stuffy and mouldy. No air con. Very poor wont stay again. We had a comfortable stay but would like to have been able to book the kettle, tea, coffee and toiletries in advance. We discovered them too late! Compact room for 3 people & good location near to Manchester United stadium. Comfortable lodgings & nicely situated near dining & close to tram to access wider Manchester. It was fine. Staff were great. Room was adequate for the price and location. Breakfast at the AC Marriot next door was excellent value at £12.